Health insurance plans for German visa & residence permit holders or applicants. Since 2009, everyone living and working in Germany must be covered by health insurance. Non-EU citizens who plan to stay in the country for more than 90 days need to apply for a visa or a residence permit. Check out here if you need a visa to enter Germany. The German Residence Act (Section 5 (1) (1)) states that for a residence permit to be granted, the applicant needs to prove that s(he) will be self-sufficient while living in Germany. Section 2(3) of the act states that part of self-sufficiency involves having adequate health insurance coverage. When it comes to taking out health insurance, applicants for a German residence permit have two options: German private health insurance or international health insurance cover. However, international health insurance companies do not always fulfill the requirements demanded by German law. 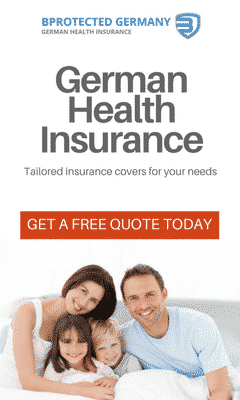 German law states that foreign nationals lacking German state health insurance must provide evidence of another type of health insurance cover that meets the same requirements as German statutory health insurance. the activities they take part in, or any changes to the purpose of their residency in Germany. Moreover, the policy must function as life insurance, i.e. it must not be designed to expire, or it must be automatically extendable or renewable. The Bonn-based Bundesanstalt für Finanzdienstleistungsaufsicht (the German Federal Supervisory Authority for Financial Services) stipulates that all German statutory requirements for German health insurance, as laid out in Book 5 Sect. 257(2)(a) of the German Social Security Code, must be met by any agreement between an insured person and their insurers. If you wish to discover whether your international health insurance policy is valid in Germany, one option is to ask the insurance company to confirm that they meet the German legal requirements. If they cannot provide such confirmation, it is likely that they do not meet the requirements. For your short-term stay in Germany and other EU countries, opt for a comprehensive cover combining foreign health insurance cover with travel accident cover and travel liability insurance cover. This travel insurance is the perfect solution for getting your visa easily accepted. Can I use this health insurance for visa application? Yes. this health insurance meets all requirements for German visa application.